A contemporary wood burning stoves design relies on smooth and polished surfaces and clean lines, with ease of use being paramount to complete the stoves simple and uncluttered look. Increasingly popular the contemporary stove comes in many shapes and sizes. Contemporary wood burning stoves are available in large choice of designs (and colours) but all are more conceived with similar design criteria; Stoves that have smooth simple lines and larger glass to show off as much of the fire as is possible. They focus on shape, texture and simplicity, making them suitable for any home. Contemporary wood burners are split into two design forms: stoves with flat glass and stoves with curved glass. It is this glass shape which often defines the final look of the appliance. 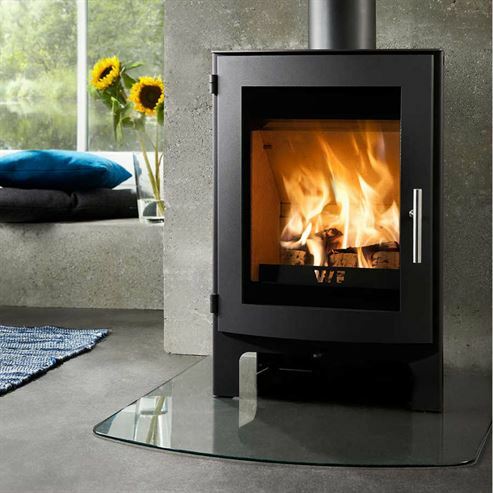 Eurostove have a prodigious range of contemporary stoves from top European brands such as Westfire, Hergom, Jide, Fogo Montanha and Mendip Stoves. Take a look through the range and enjoy.